Calouste Sarkis Gulbenkian was an Armenian born in the Ottoman Empire in 1869. His father was a trader and banker in Scutari, just south of Istanbul. Gulbenkian graduated in engineering at King’s College London and in 1902 became a British citizen, conducting much of his work from London and then Paris, but finally settling in Portugal. He was both multicultural and multilingual and spent a lifetime bringing together people from different cultures and nationalities. 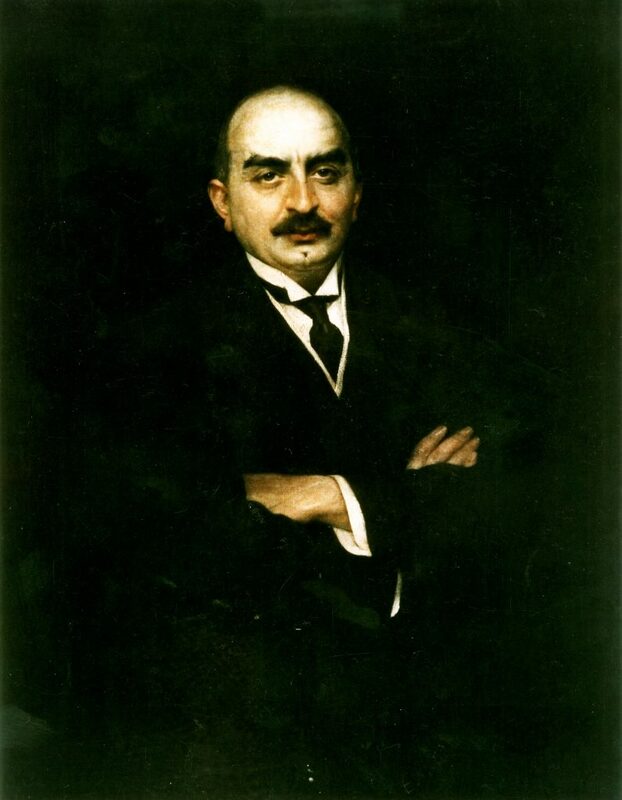 The source of Gulbenkian’s wealth was oil: he spotted the potential for oil exploration in Mesopotamia, then part of the Ottoman Empire, now Iraq, and is best known for creating the structures which enabled the orderly development of Middle Eastern oil. He was successful in achieving an alliance of British, Dutch, German and Ottoman interests to exploit the oil in the Ottoman Empire. He held this alliance together through two world wars, the disintegration of the Ottoman Empire, and oil’s emergence as a critical natural resource. He later brought in the French to replace the Germans, and then the Americans, but all the time maintained his five per cent share of the revenues – hence his nickname ‘Mr Five Per Cent’. In 1927 he settled in Paris, where his house at 51 avenue d’Iéna became famous for his collection of books, coins, manuscripts, paintings, statues and other objets d’art. He also became a private benefactor to the Armenian community across the world. In 1942 Gulbenkian left France for Portugal where he remained until his death in 1955. In his will he left his collection – a unique mixture of Eastern and Western art – and almost his entire fortune to a foundation to be headquartered in Lisbon and to bear his name. He wanted his Foundation to reflect his interests in arts, science, education and social welfare and told his primary trustee that it should benefit not just Armenian causes but ‘all humanity’. The Calouste Gulbenkian Foundation was established in Lisbon in 1956.